The Miller Analogies Test format is covered in depth in both the Candidate Information Booklet and the Official MAT Study guide. Students studying for the MAT will want to read and familiarize themselves with both of these. The following covers some of the key points. Love is an emotion; red is a color (b). In this case, the relationship is based on category or classification: one term belongs to the other. This is important to remember since it will prevent you from trying to connect terms that absolutely will not be made to relate. 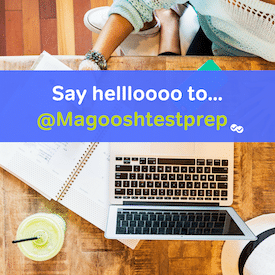 In terms of content, MAT analogies may quiz you on any knowledge area appropriate for undergraduate study: English, mathematics, history, etc. You can find a full list in the candidate information booklet. The MAT increases in difficulty as you move through the exam. Each 40 questions represents an increase: 1-40 (easy), 41-80 (medium), 81-120 (hard). Out of 120 question, only 100 count towards your final score. Each question is worth the same amount of points; in terms of score, an easy question is worth the same amount of points as a hard one. This has important implications for test taking strategy; it’s especially beneficial since there is no penalty for guessing, skipping, or incorrect answers on the MAT. This means students can use guessing to maximize their potential score. For more information on the MAT, read the suggested links above and check out the rest of the Magoosh MAT blog!